Our friend Gary Fawver sent me this result of his expert camera work—in his own backyard. Astonishing! He gave his permission to share it. 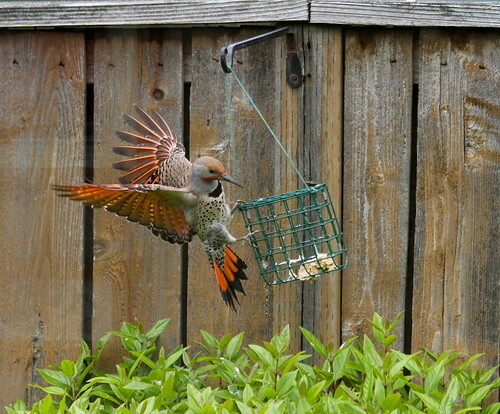 I enjoyed uploading a picture of a flicker to my flickr account. I don’t get to do that every day. Love this. Good catch. Lovely setting. I like the wood fence as the background, too. I loved seeing this picture and made Bruce (the photographer in our family) come take a look as well!